Can philosophy help us overcome the practical problems of life? For most people philosophy is at best a harmless luxury without bearing on the practical problems of life. Professional philosophers cannot be exempt from the guilt of having confirmed this false view. The present-day social problems are at bottom a crisis of philosophy, a crisis of ‘love of wisdom.’ Hence, we need a philosophy which is contextually relevant, a philosophy that affirms the value of our inner being — a being that the self-appointed guardians of morality and culture, who preach and practice fundamentalism and fanaticism, ignore. When I say this I am also immediately aware of those who believe that only positive, objective, empirical knowledge, arrived at by the methods of science, has ‘permanent value.’ But don’t we see where our over-dependence on scientific knowledge and astounding technological capabilities, divorced of true wisdom, have landed us? There is abject poverty, disease, ignorance, misery, and environmental degradation side by side with abundance, luxury, and technological progress. Hence, we need to develop a philosophy that gives priority to human dignity and integrity, to love and compassion. 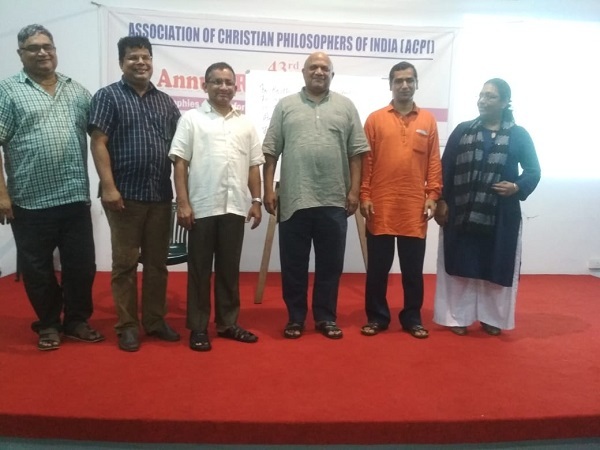 The ACPI’s Encyclopedia of philosophy, first proposed by me in 2004 during the 29th ACPI Annual Meeting at Jalandhar, is intended to be at the very heart of that philosophy, which is value-based and other-oriented. When this project was proposed to the General Body, I never thought that it would turn out to be a reality so soon. 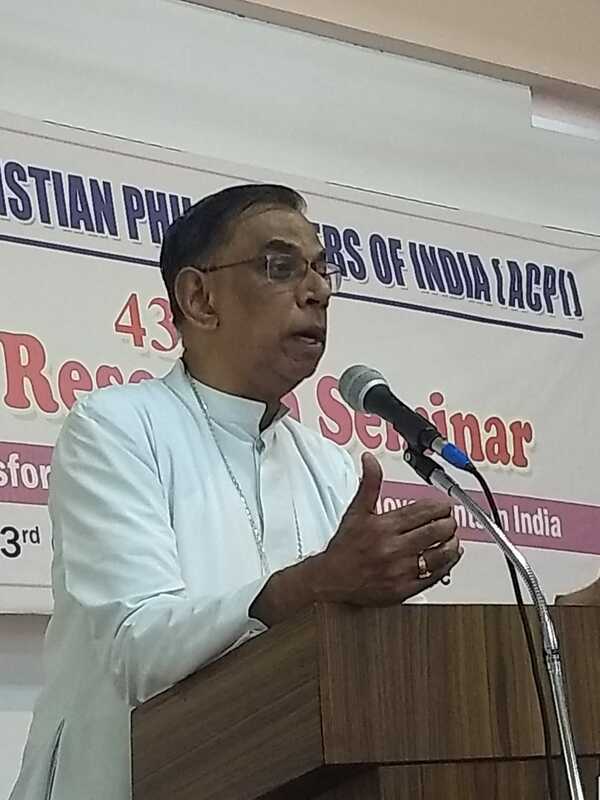 By the grace of God and with the unflinching support of the entire Association and the Editorial Team, especially due to the sincere and wholehearted commitment of Dr Johnson Puthenpurackal, the Editor-in-Chief, the work has assumed the present shape. His enthusiasm, initiative, and experience in publishing the Annual Proceedings of the ACPI with a qualitative difference enabled all of us, the members of the Association, to extend our unreserved cooperation in the completion of this work. 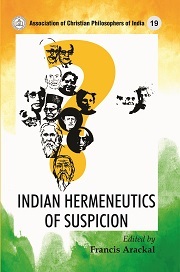 May God bless all those who have been associated with the work in one way or other, and let this magnum opus be a source of inspiration for all who commit themselves to the task of philosophizing relevantly and contextually, with a passion for satya and ahiòsa, for love and compassion.